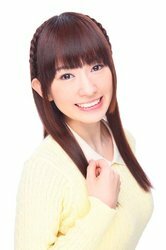 Haruka Terui is a voice actress hailing from Iwate Prefecture and signed with Aoni Productions. Ms. Terui is best known for her soft and gentle voices, such as those presented in her roles as Kobeni Yonomori in "Engaged to the Unidentified" and as the protagonist of "Yuki Yuna is a Hero." Ms. Terui has a beautiful singing voice as evidenced in her work in the theme song performances for these same series.